Heidi Thompson was born in Vernon, Canada. After graduating high school she moved to Europe to study. Her extensive education includes a degree in photography from the University of Art & Design in Zürich; an apprenticeship with painter Oskar Koller; a year at the Akademie der Buildene Künste Nürnberg and some time at the Hungarian State University for Fine Art. The artist has a lasting interest in meditation and the expression of truth, mind, matter, energy and space. We catch up with Heidi to find out more about her process and the philosophy underlying her awe-inspiring art. What artwork/project are you most proud of and why? The most rewarding experience in my career happened a few weeks ago. I was exhibiting a series of paintings entitled ‘The Light Within You’ at the Vernon Art Gallery. I received an email from someone who had seen the show. He wrote, “Stepping out of the car carefully making our way across all that thick ice in the gutter in front of the Gallery, we ventured into the illuminated display of your work... it was like walking into a realm of peace and tranquility. We stood all alone in this room... overcome with awe and a sudden calmness of spirit. Perhaps we did time it right coming then, because we were able to be truly alone with your works... alone... surrounded only by their presence... which ignited... a light within us.” The viewer’s response was my ultimate reward. My greatest hope is to make paintings that facilitate peacefulness, joy, and awe. Your process is highly energetic, physical, is this aspect of your practice important to the final aesthetic? 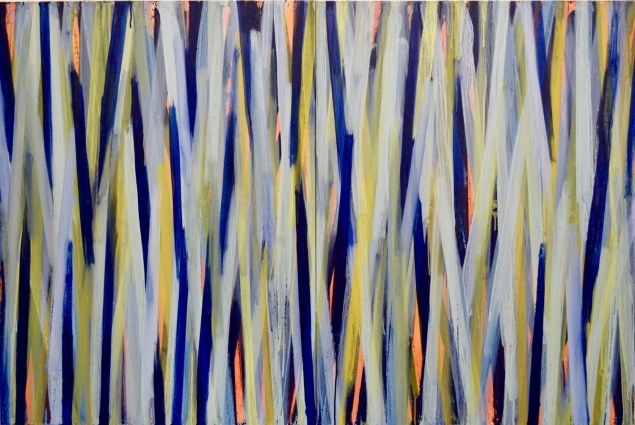 My paintings appear energetic with their vibrating colours, moving fragments and pulsating fields of patterns and lines. However, their movement has less to do with my physical actions and more to do with the techniques I use. 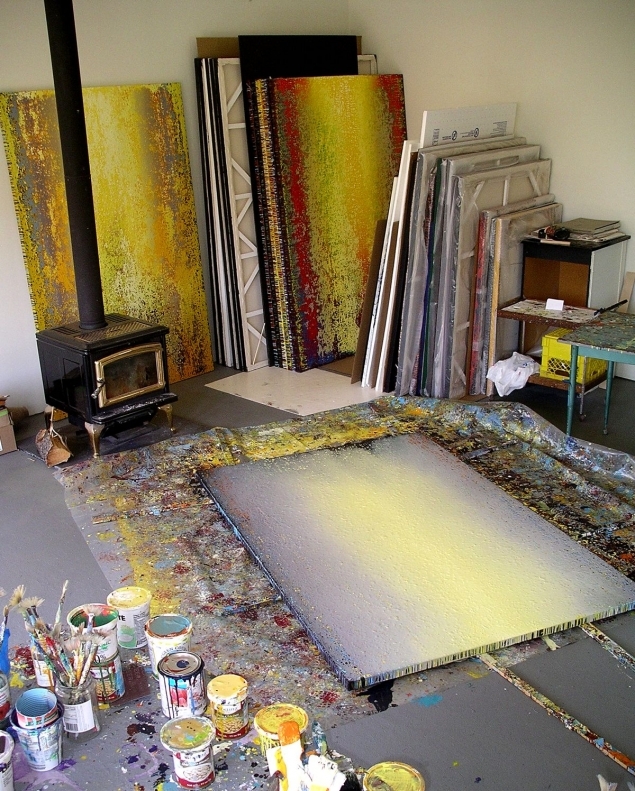 My multicolours are created by layering fluid acrylic paint, drying areas and then washing away wet paint. This results in a patina. Though the image is non-representational it often resembles a natural phenomenon like a blazing sunset or glowing fire. In contrast, my monochromes use a technique similar to mandala sand painting. I load a small fan brush with paint and tap it with a stick until the canvas is covered with a woven tapestry of delicate lines, flecks, and dots. 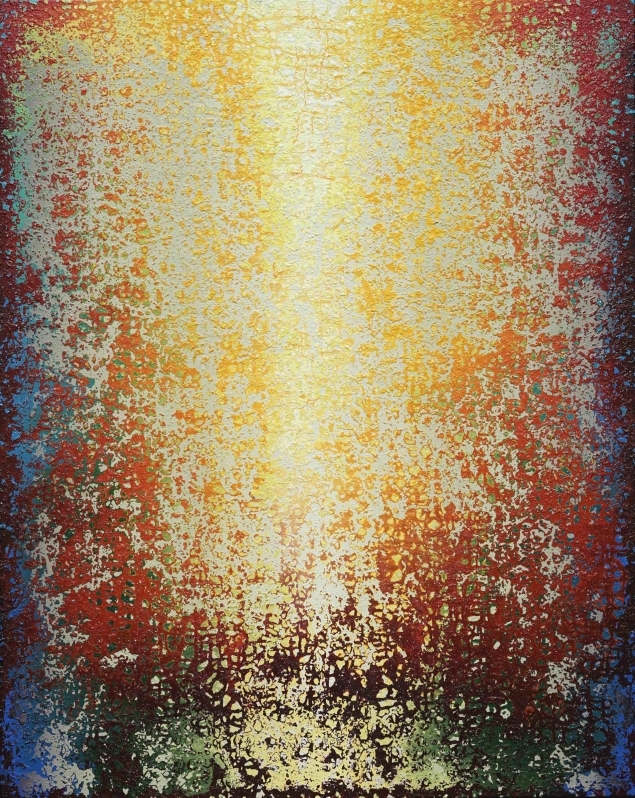 From a distance, the elements melt together into a unified, vibrating field of colour. My monochromes best express my reality, specifically the reality I feel via sensations. Both techniques express my inner reality of change. Generally, I am quite still when I paint. I stand, gaze, dribble or tap. I am far from an action painter! What is most important is to be still within. Being centered and calm contributes to creating paintings that are energized, uplifting and peaceful. How do you know when one of your paintings is finished? A painting is finished when everything comes together and feels right. 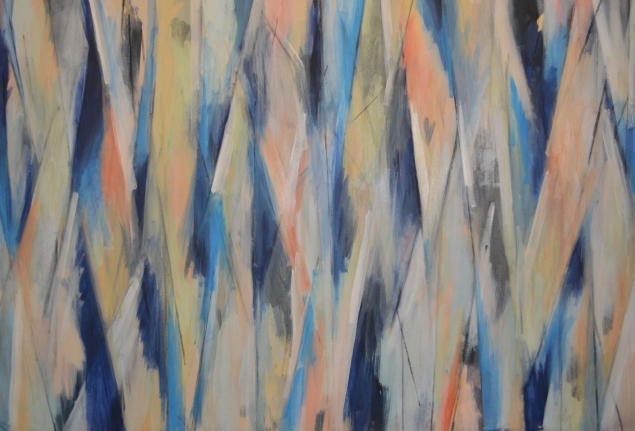 ‘Everything’ includes its color, composition, technique, and the emotion it evokes. What I also look for is how spontaneous the painting appears. I want it to look like it was simply a beautiful accident – not touched by a human hand. Painter, Botticelli stated, “…just by throwing a sponge soaked with various colors against a wall to make a stain, one can find a beautiful landscape.” Inspired by his observations, I pour paint over a canvas hoping the colours will collide and create something mystical and magnificent. (Though, this doesn’t always happen). Over the years, my feeling of what is ‘right’ changes, perhaps because I am developing different aesthetic sensibilities. Which artists (or musicians, authors or genres) have been influential in your work? While studying in Europe I admired expressionists, impressionists and mystics including Da Vinci, Rembrandt, Vermeer, Van Gogh, Kollwitz, Munch, Monet, Klee, Kandinsky Kline and philosophers like Blavatsky. They all seemed to be searching for Truth. After returning to Canada I was inspired by abstract expressionists especially Pollack and Rothko. My greatest influence, however, did not come from artists, musicians or authors, rather from Vipassana. This meditation technique requires one to observe sensations in the body and gain insights from these observations. The more I practiced, the less interested I was in expressing external, apparent reality – landscapes, politics, concepts or 'realistic' and representational things. I wanted to express my reality, the ever-changing molecular organism that I am. 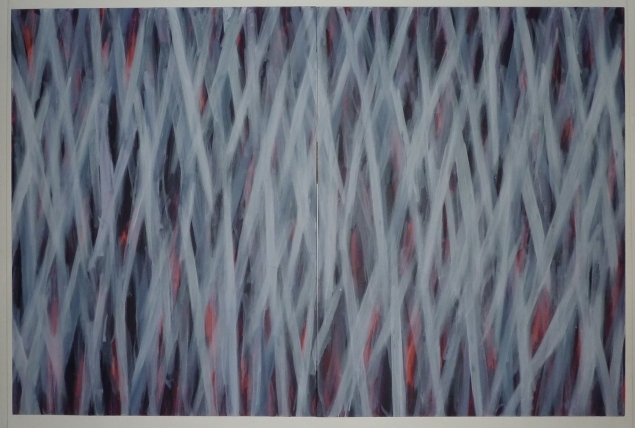 I started painting monochromes which best expressed my reality of mind and energy. 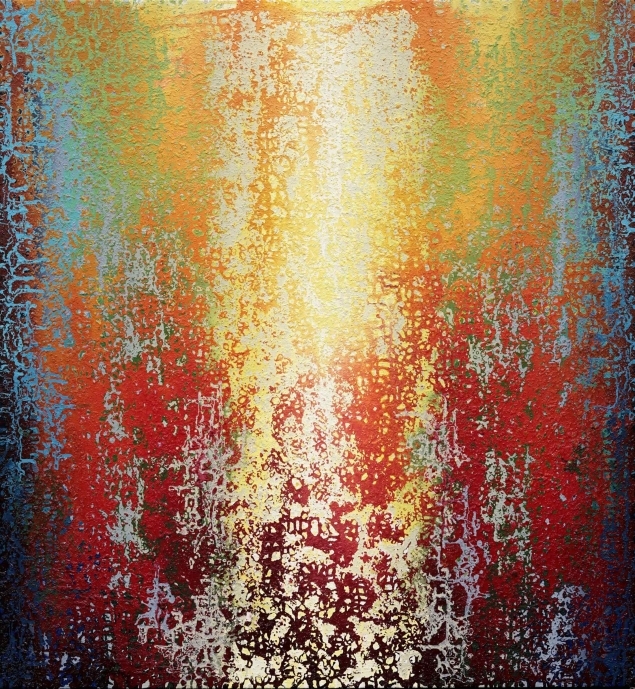 The multicolour paintings, as well, express the eternal flux of mind and matter felt within. In my search for ways to express reality, I discovered the art of Mark Tobey. 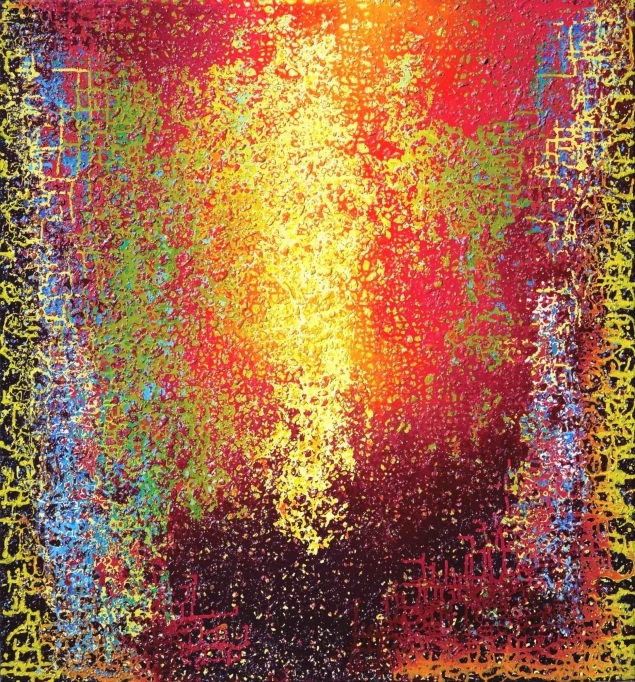 For me, Tobey’s abstractions (which evolved out of his meditation practice) express truths about mind, matter, movement, energy and space – themes which resonate with my reality. Finally, if you could own any artwork by any artist - past or present - what would it be and why? I would love a painting by Mark Tobey – like Trembling Space or Canticle. Having one of his creations would give me great comfort. It would be like being in the company of a friend who deeply understands you. Philip works in a number of fields including painting, drawing, small scale sculptures and larger commissioned public artworks. The artist also has a lasting interest in Light Art and movement, working with Neon and LED light sources and occasionally involving installations that include music. We caught up with Philip to find out more about his journey as an artist. When did you realise you wanted to become an artist? I realised quite early in my childhood that I wanted to have something to do with drawing. I was brought up in France in a beautiful old company house overlooking the sea and the entrance to Le Havre harbor. My father headed the salvage division of a tug company and I became fascinated by ships and the Sea. We used to get notebook covers from school that when opened out would make a nice A3 blank area and my first drawings were ships in profile on these. By the time I got to boarding school in England I thought I wanted to be a naval architect. My art teacher, the legendary Gordon Taylor persuaded me that there was more of a career in architecture and art and I went off to architecture school at Cambridge, later switching to Hornsey and Chelsea art schools to study sculpture and painting. I have always been fascinated by science and nature. Art for me has always been a research project. At Chelsea I had the very good fortune to study under Anne Rees Mogg, who taught an amazing class on color theory. This seized my interest in that it included a study of light and the process of seeing and understanding light and colour. I started to make sculptures using light as the medium, mostly projection and linear light in the form of neon. I also became fascinated by the persistence of vision and its possibilities of creating apparent motion as in the cinema, adding a time dimension to my work. I applied this to programmed light sculpture to create works that appeared to move in smoothly choreographed motions. My first large-scale work of that kind was the 50ft high Neon Tower that I was commissioned to create for the Southbank and the Hayward in London. More recently a lot of my drawing and painting has derived from observation of plant and tree forms in nature. How those plants arrange themselves, how they grow and branch out is all geometric and yet fabulously diverse and complex. That complexity continues to fascinate me to this day. I am also fascinated by the ocean and waveforms, which I have spent many hours observing from the deck of a sailing boat. All these ideas get mixed together and reverberate through my work to this day. Living and working now In Los Angeles, I spend a lot of time in the desert and the northern California redwood forests and these places have a profound effect on my work. I like to work intuitively, I like to allow chance to enter into my process. Often something will fascinate me long before I understand why it does so. I have learned to trust those intuitions and to observe closely. Those sightings will often transform into sketches and notes, which eventually might coalesce into an idea for a work of art. The road is not a straight one, it's a circuitous process but I rely on my sense of feeling and smell to judge where to place my energy and how to guide the work process from idea to evolving Artwork. I am also an incremental worker, I work at one idea and carry it as far as I think I can, then switch to another canvas to pursue the next incarnation of that idea. Often the initial versions become subsumed into a larger research project as the idea grows into something more complex and hopefully more fine-tuned. Again the sense of intuition is my guide, I watch these ideas grow almost as if they are separate creatures, leading me along a path that if I am lucky is mysterious and fascinating. I am hoping to find a new way to market my work in the coming years, to increase the funding I can apply to new projects and with the aim of spending more time working in the studio and on large public art projects. In this new world of struggling brick and mortar galleries, I am interested in new ways to market my work on-line and Rise Art seems to be a well-thought-out initiative in this direction. I am also hoping that we can find a home in London for my large-scale Interactive Light Tower. Meanwhile, I am working on steel maquettes for these larger works, sketching in 3D and developing ideas that can be executed at scale when the opportunity arises. 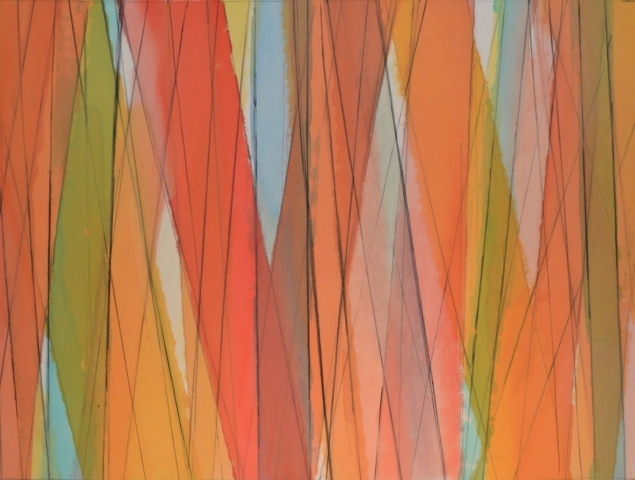 In the meantime I pursue a parallel effort in the studio, currently, I am working on a series of striped color paintings for a show in Los Angeles this Spring. I would love to introduce this work to a new audience in London and elsewhere. Our Curator at Large, Hector Campbell, has been scouring every corner of London to find the best up-and-coming artistic talent. 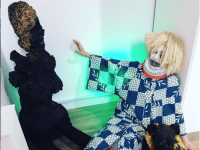 Hector's recommendations take us to Annka Kultys Gallery in Hackney, Freelands Foundation in Primrose Hill, Assembly Point in Peckham and The Dot Project in Holland Park. Discover Hector's highlights below and if you're in London over the next few weeks, pop by to see these exciting shows in person. 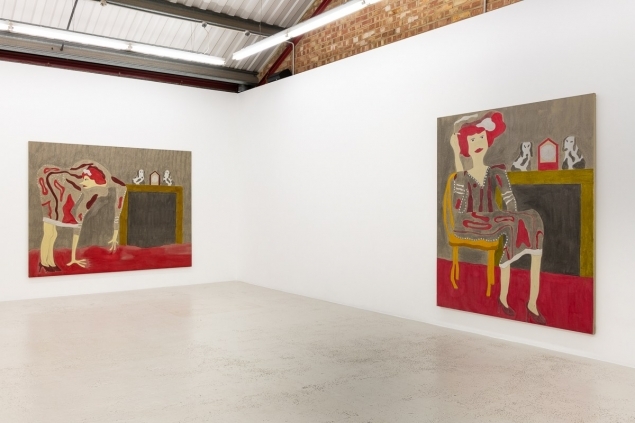 Following his successful debut solo exhibition ‘In the Garden, Council Housed and Violent’ at Annka Kultys last year, Dominic Dispirito returns with a new series of acrylic on Jekyll linen paintings that continue his exploration into the East London tradition of Pearly Kings and Queens. Dominic Dispirito, (L) - ‘She’s lost her marbles’, Acrylic on Jekyll linen, 2018 (R) - ‘Smokin’, Acrylic on Jekyll linen, 2018. Installation view at Annka Kultys. Image courtesy of Annka Kultys and Dominic Dispirito. The works in Pie ‘n’ Mash follow Jackie, the latest of a celebrated lineage of ‘Pearlys’ that dates back to the latter half of the 19th century, a character through which recent Slade School of Fine Art MFA graduate Dispirito can examine the culture that surrounds his working-class background. 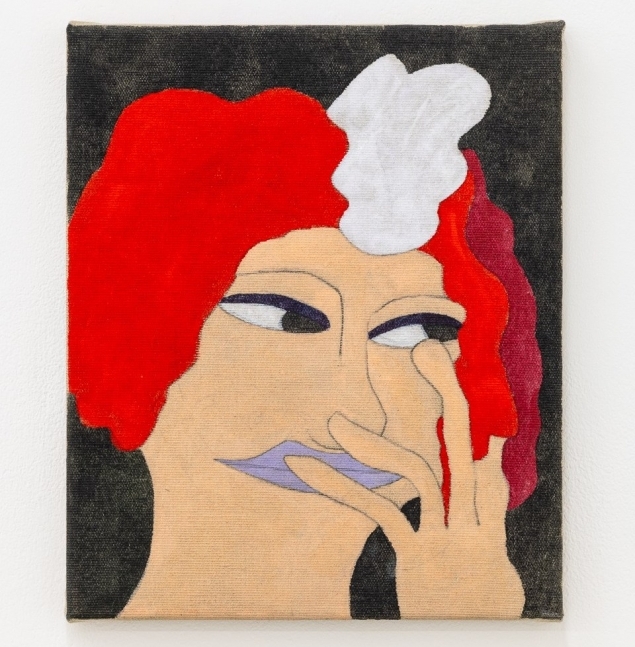 Dominic Dispirito - ‘Sat ere all on me jack jones’, Acrylic on Jekyll linen, 2019. Artwork view at Annka Kultys. Image courtesy of Annka Kultys and Dominic Dispirito. Incorporating references to cockney rhyming slang within some of the works titles (‘It’s all gone Pete tong’, ‘Sat ere all on me jack jones’ etc.) Dispirito offers sophisticated, satirical comment on the British class system, as well as his personal history of drug and alcohol addiction. ‘Pie ‘n’ Mash’ runs until April 13th. Freelands Foundation’s latest group exhibition ‘Fault Lines’, curated by Edward Ball, features Jonathan Baldock, Alice Channer, Angela de la Cruz and Holly Hendry, artists spanning four consecutive decades, whose work all addresses the sculptural metaphors of the fault line. Jonathan Baldock, (L) - ‘Maske II’, Stoneware, horse hair, 2019 (R) - ‘Maske I’, Stoneware, 2019. Image courtesy of Freelands Foundation, photography by Damian Griffiths. 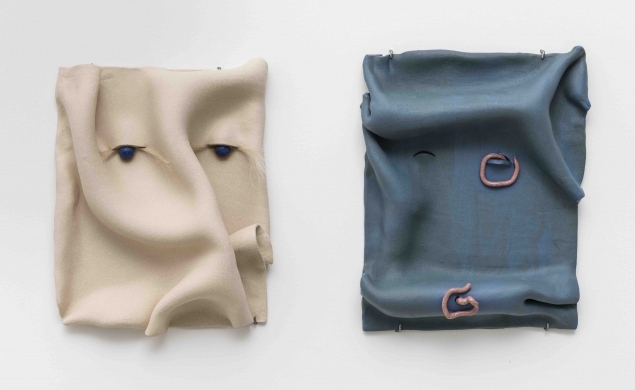 Royal College of Art MA graduate Baldock presents work from his continuing ‘Maske’ series of works, ceramic reliefs that hint at figuration through the careful use of folds, creases and tears, a visage appearing with the addition of quotidian objects onto and into the sculpted surface. Holly Hendry, 'Gum Souls', 2018. 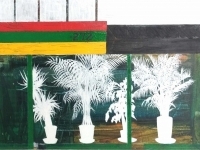 Installation view at Frutta Gallery. Photography by Roberto Apa. Hendry, a more recent RCA MA graduate, similarity combines a variety of materials, often concrete, jesmonite and found objects, to create jigsaw-like constructions, their joints and fault lines visible, that resemble common medical diagrams. ‘Fault Lines’ runs until April 14th. 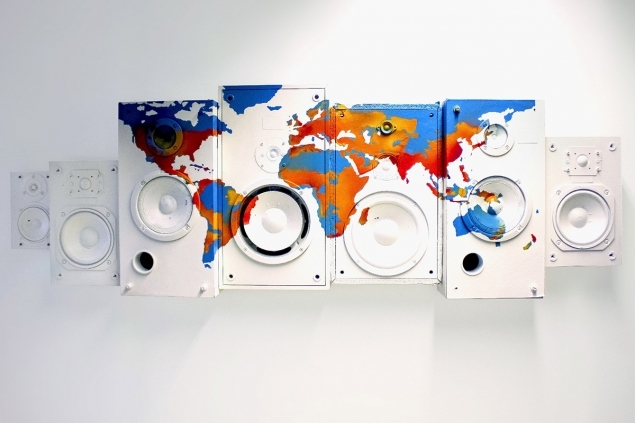 British-Bermudian artist and Royal College of Art Ma graduate Charlie Godet Thomas’ “Illuminated Manuscripts”, large wall assemblages, form part of his latest solo exhibition ‘Dim Lit’. Merging image and text within depictions of abandoned urban landscapes, Thomas presents scenes of contemporary decline, that simultaneously echo a dystopian future and a forgotten past. 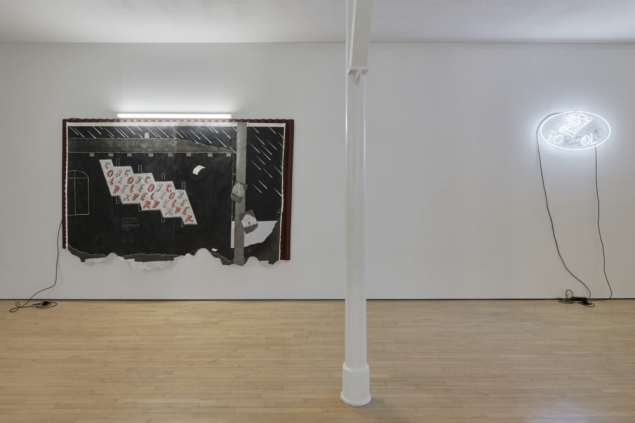 Charlie Godet Thomas, (L) - ‘Old Older Cold Colder’, Paint on Fabriano paper, map pins, corrugated bitumen, tape fluorescent light fittings, fluorescent bulbs, cable flex, lighting gel and mains plugs, 2019 (R) - ‘Fool’s Gold’, Neon, cable, transformer, mains plug, 2019. 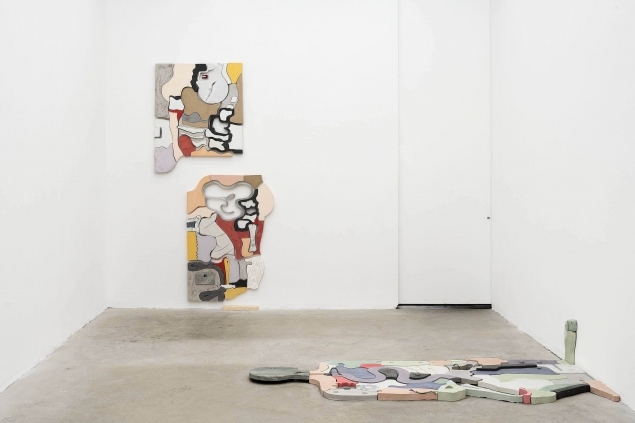 Installation view at Assembly Point. Image courtesy of Assembly Point and Charlie Godet Thomas. Thomas’s interest in found poetry is also evident throughout the exhibition, especially in the neon work ‘Fool’s Gold’, which on first glance appears to be a typical ‘Cash for Gold’ sign but upon further inspection has been ‘broken’ to reveal a more wry message. ‘Dim Lit’ runs until April 20th. 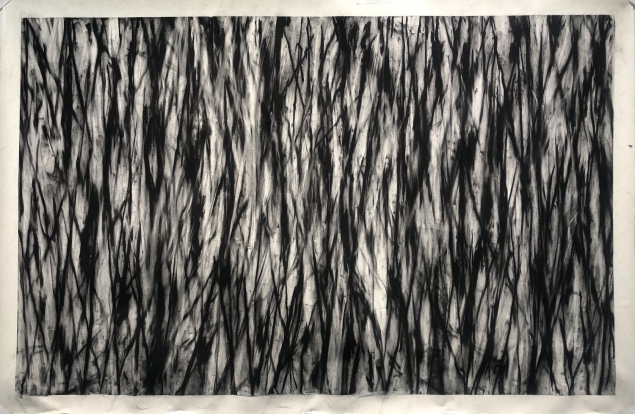 Curated by exhibiting artist Ralph Hunter-Menzies, ‘Sleep on the Wind’ also includes the work of Daniel Jensen and Terencio Gonzalez, selected for their attention and approach to mark making. Ralph Hunter-Menzies, ‘Cloudwalker’, Spray paint on sewn canvas, 2017. Image courtesy of The Dot Project and Ralph Hunter-Menzies. 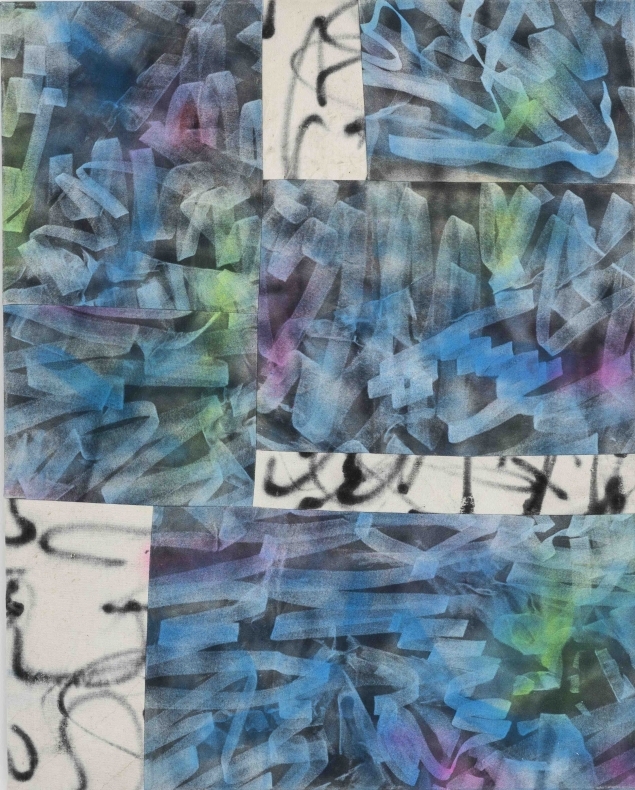 Each of the artists’ cultural backgrounds are evident within their works, with French Gonzales display of vibrant sun-bleached swathes of colour punctuated by random, almost accidental, marks, London based Hunter-Menzies use of common graffiti removal techniques and Swiss Jensen balance and contrast of both managed and free marks. ‘Sleep on the Wind’ runs, by appointment, until April 30th. The design trend we’re most excited about this season is ‘biophilia’, the affinity of human beings with the natural world and living things. 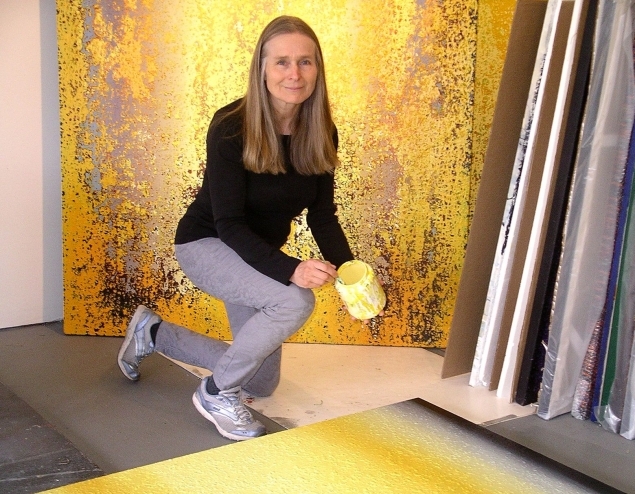 Discover 5 artists whose work will breathe new life into your interior this Spring. 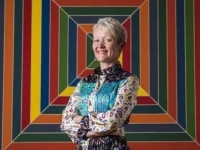 As the month of March has become an international celebration dedicated to women and women’s rights, here are some inspirational women making an impressive impact in the art world. Joe Hesketh’s paintings are dynamic statements about the human condition. 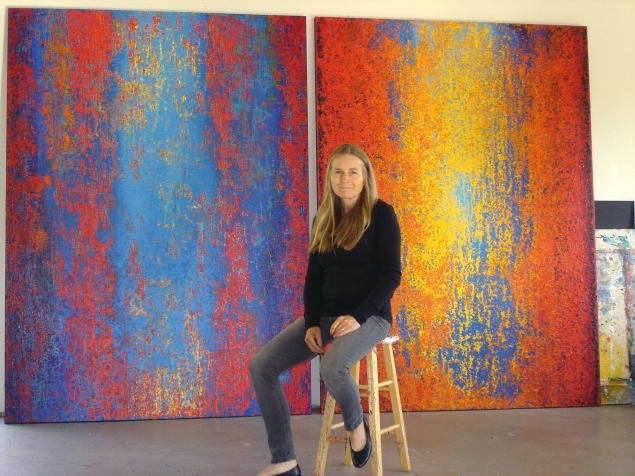 We ask her about her experience as a woman in the male-dominated art world. 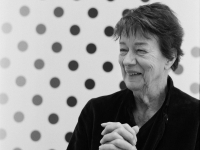 Bridget Riley was born at Norwood, London, in 1931. 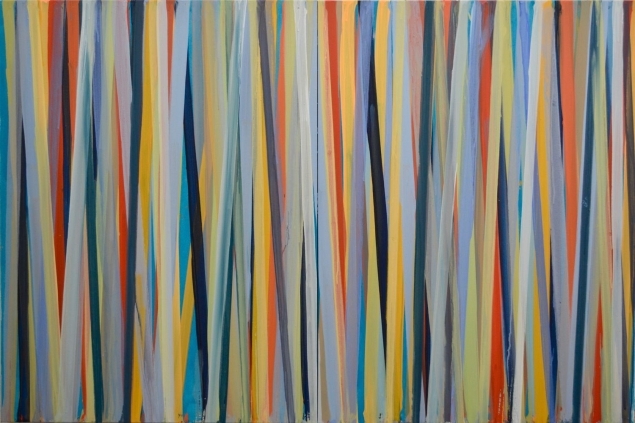 Riley gained attention for her illusionary black and white paintings in the 1960s and was grouped under the category of ‘Op art’ (optical art). Hector Campbell is our Curator At Large. This means he’s out and about visiting the best galleries and the latest exhibitions. Hector always has his eye on the latest and greatest art world news and he’s here to give you exclusive access. 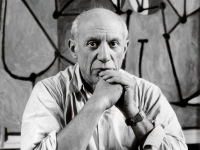 Over the course of his life, Pablo Picasso had two wives, six mistresses and dozens of lovers who served as inspiration for the artist’s work. 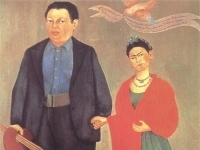 Mexican artists Frida Kahlo and Diego Rivera painted each other for 25 years. Find out about the couple’s tumultuous relationship on the blog.